FURNACES- it is an enclosed structure which produces heat. It is either known as Boiler or Heater. SLP98V Variable-Capacity Gas Furnace SL280V, Variable Speed Gas Furnace, EL296V High-Efficiency, Two-Stage Gas Furnace are some of their models. DUCTLESS MINI SPLIT SYSTEMS- are a flexible and efficient way of heating and cooling for specific residential or commercial rooms. It has the outstanding cold-climate capabilities and operates in temperature as low as 22°F. MS8c, MLA Mini-Split Heat Pump, MPB Mini-Split Heat Pump, MLA Mini-Split Heat Pump, MS8C are some examples. AIR QUALITY- Cleans the air in your Home better than any other single system you can buy. Lennox Package Units are remarkably efficient when it comes to performance and giving you comfort all year round. All packaged units in Lennox product lines are Energy Star Certified. When you choose ENERGY STAR qualified heating and cooling products, you know you’re making a smart choice that can significantly reduce your monthly utility costs. Heat Pump Systems are designed to provide heat, by absorbing heat from a cold space and releasing it to a warmer one. 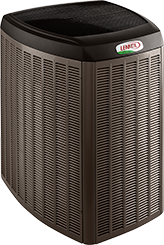 A heat pump is an all-in-one heating and air conditioning system that works year-round to keep you comfortable. A boiler has the power to make you comfortably warm, almost instantly. It integrates with existing radiator systems, offering efficiency ratings of up to 84.4% AFUE, and ideal for home boiler replacement. Our Boiler works with traditional radiator systems to provide precise heating comfort and also delivers reliable heating performance and maximizes efficiency by turning the burner on only when needed. It’s engineered for lasting comfort and energy savings, efficiency, and enough warmth to cover you on cold days. Plus, it is designed to be highly innovative and efficient. Check for GWM-IE, Lennox GSB8-E, Lennox GWB9-IH models and others. An air handler or air handling unit, is the indoor part of an air-conditioning or heat pump system. Air handlers work much like furnaces in that they efficiently move air throughout the home. The main difference is that the air handlers only circulate heat when paired with a heat pump. We have A quiet and efficient air handler for almost any installation, high-efficiency and dependable comfort. Reliable and efficient warmth of your garage is here with a Lennox Residential low profile design garage heater. What set us apart is that our garage heaters have efficient heating for almost any size garage or utility area, and has separated combustion heating for hard-to-heat garages or utility areas. Caloosa Cooling is an authorized dealer of Lennox Product Lines. If you need a repair right away, Caloosa Cooling will take care of all your needs. Our professional Technician well get the job done in no time. We have complete line of tools and equipment needed for all your system needs. May it be Furnaces, Air Conditioners, Heat Pumps, Boilers, Air Quality, Ductless Mini-Split Systems, air handlers, garage heaters, and package units we got all the Lennox product lines here. Lennox is one of the best brands we trust in Caloosa Cooling. Call us at 239-226-0202. Serving the area in Southwest Florida, Fort Myers and Cape Coral.